I have some exciting news to share – I’m actually now officially a married woman in the eyes of the Italian authorities. Apparently, although we were married more than 20 years ago, my Italian-British husband was still considered as single in Italy until this month, as we’d never registered our marriage with them. But last year we did actually get around to submitting the necessary forms to the Italian Consulate in London, and now we’ve received confirmation from Italy that the registration has gone through. Which means that I’m a small step nearer to being able to apply for Italian citizenship. So, here’s the next instalment in the story of our family quest to remain European after Brexit. In short: I’m British, my husband’s Italian-British and our kids are British. All four of us were born in the UK. Because of Brexit, we’re trying to apply for Italian citizenship for the kids and for me. I’m not a lawyer or an immigration expert, but I’m sharing our experience of the process in case it’s helpful to others. My citizenship application is likely to take years longer than it will for the kids, and I don’t know if I’ll ever actually manage to do it. According to the Italian Consulate in London, this, listed below, is what I currently need in order to make an application for Italian citizenship by marriage. These requirements can (and do) change at any time, so, if you’re applying, please don’t rely on what I’m sharing here. This requirement was only introduced in December 2018. You now need a CEFR (Common European Framework of Reference for Languages) certificate at B1 level or above to show that you have an adequate knowledge of Italian. The exam is in four parts: listening, reading, speaking and writing, and it takes place over the course of one day, on a set date. You need to pass all four parts of the exam in order to get a certificate. Although I’ve studied Italian, it was a long time ago, so I’m a bit worried about this one. Also, as it’s a new thing, it’s not that easy to find a place where you can take the exam. The consulate lists the approved language schools where you can take the official exam in the UK, but the first school (the only one listed in London) that I tried to contact about it said it ‘can’t handle the exam.’ The next nearest place for me to take the exam is in Cambridge, more than 80 miles from where we live. I’ve booked to take that exam next month, at a cost of £200. I had no idea how long it would take for our marriage to be registered with the Italian authorities, but based on what I’d been told about the kids’ applications, I assumed that it would take years. While I was waiting, I found a form on the Italian Consulate website to send to the ‘Comune’ (the town hall) in Italy where we’re registering, to ask for confirmation of our marriage registration. (In case you need it, the form is called a ’Richiesta Atti di Stato Civile di Cittadini Italiani a Comuni Italiani’ and you can download a copy of it here.) I completed the form and went to the Post Office to send it to the ‘Comune’. I needed to send a self-addressed stamped envelope with the form. 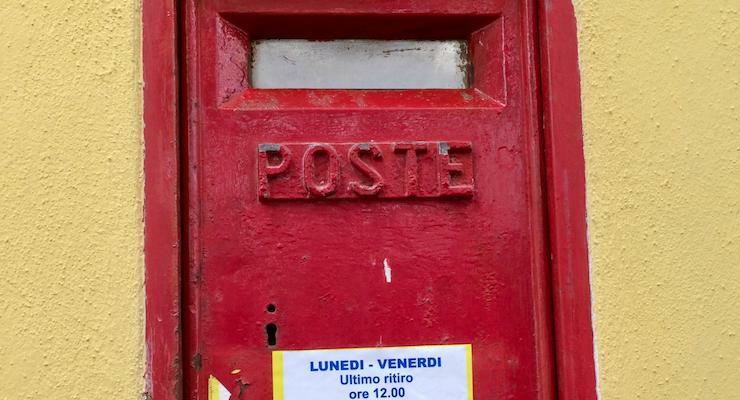 But at my local Post Office I discovered that it’s impossible to pay for Italian postage from the UK. So I enlisted a kind friend in Italy to help me. I posted everything to her, and she then added the Italian postage to my self-addressed envelope and sent it with my form to the ‘Comune’. Three weeks later (eight months after sending my initial application to the Italian Consulate) I received confirmation of our marriage registration from Italy by post. Hurrah! Although I already provided this for my marriage registration, I now need to provide it all over again. When I realised this, I ordered another official copy of my birth certificate (as documents aren’t returned to applicants), from the General Register Office at a cost of £9.25. The certificate arrived five weeks later. I now need to get it legalised and translated (see my post Applying for Italian citizenship – part 2 for how to do this – legalisation costs £30 + £5.50 postage). I’m not sure about this, and it seems a bit similar to 5), below, but I think it’s just for people who’ve spent some time as residents of countries other than the UK and Italy. I’ll have to do some research to find out about it. (If you know what this certificate is, please do tell me). Once you have this certificate it has to be legalised and translated. It’s only valid for six months, so I’m not applying for it unless and until I pass the Italian language exam. This has to be paid by bank transfer. The only items in the whole list which we actually already have and which we don’t need to get certified or translated or legalised. Unless things change. Last time I wrote about this (in Applying for Italian citizenship – part 5) we’d submitted all of the necessary forms for the kids, and were waiting for a response from the Italian authorities. It’s now four months since we submitted the documents for our daughter, and eight months since we did it for our son (read my earlier posts if you’d like to understand why we couldn’t make both applications at the same time). Officials at the Italian Consulate in London have told us that both kids will definitely be given Italian citizenship, but that it’s just a question of waiting – possibly for up to two years. We’re still waiting at the moment. I’ll keep you posted – the next stage for me is the Italian exam (gulp!) and if I pass that I’ll be trying to work out what to do about items 4, 5 and 7 (see above). If I don’t pass the exam then I’ll have to wait until I have another chance to take it, then try again. Once I have everything ready, I’ll make the application. From that point I’ve been told that it will take at least two years for the application to go through. If you’ve ever applied for citizenship of another country, how did it go? Or if you have any questions about what we’re doing, do let me know, and I’ll try to help. Blimney – that sounds like an absolute nightmare! I’m also in the process of applying for Italian citizenship through my birth Grandmother and Jure Sanguinis – so no Italian exam thank God. It has taken ages because I discovered she was born in what was modern day Croatia rather than in Trieste where she married but was not born – she kept that one quiet! I started this process just before the referendum as I had a bad feeling and it has taken absolutely ages because I had to find evidence that Rijeka was part of Italy in the month and year she was born (this was just after the first World war and the city was occupied numerous times during that year alone). Eventually my Italian Virtual Assistant tracked down a certificate in Croatia that said her nationality was Italian at birth – phew, only took 2 years. It has taken 7 frustrating months to get an appointment online and my appointment is at the consulate at the end of June. I have my docs apostilled (10 of them including my deed poll name because the line goes back further – expensive!) and am very much hoping you can help me with the translation part. you mention a list of translators on the Italian consulate website but I can’t see this anywhere – any clues? I’m so near and your posts have been invaluable at seeing what I have to expect. Thank you and good luck with the exam! I used Gabriella Barra for our translations (her details are on the list). I’ve taken the exam now and it was very hard, so I’m not sure if I’ll pass it or not. I have to wait for 60 days for the results.